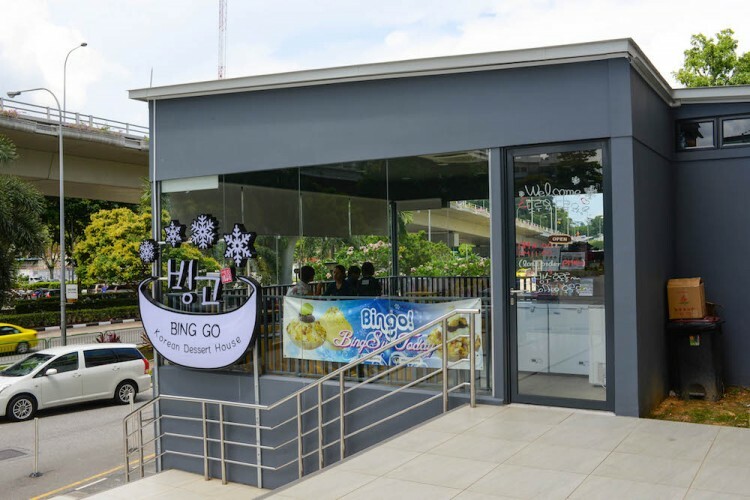 Korean Bingsu in Singapore is all the rage now. On sweltering days in our little island I turn to bingsus 빙수, or the lovely, Korean shaved iced desserts to stop myself from melting into a puddle of human being on the sidewalk. 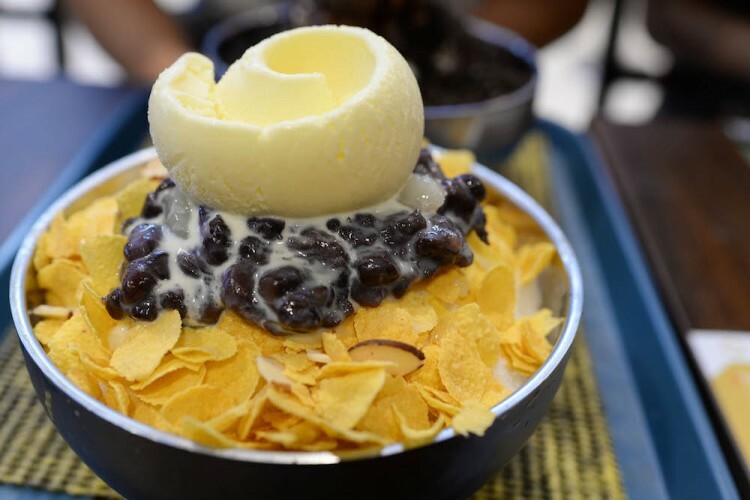 The earliest and most classic rendition of this Korean shaved ice dessert was the Patbingsu 팥빙수, which literally meant red bean shaved ice – obviously, read bean paste was a key ingredient along with condensed milk, tteok 떡 (Korean rice cake) and ground nut powder. Since then, globalization has evolved the bingsu to include different ingredients and combinations including fruits, jellies and ice cream. The craze has now come to Singapore as well. So here is my picks for the best Korean Bingsu in Singapore for your Korean dessert fix. One of my favorite bingsus in Singapore on this list, NunSongYee boasts extremely fine shaved ice. 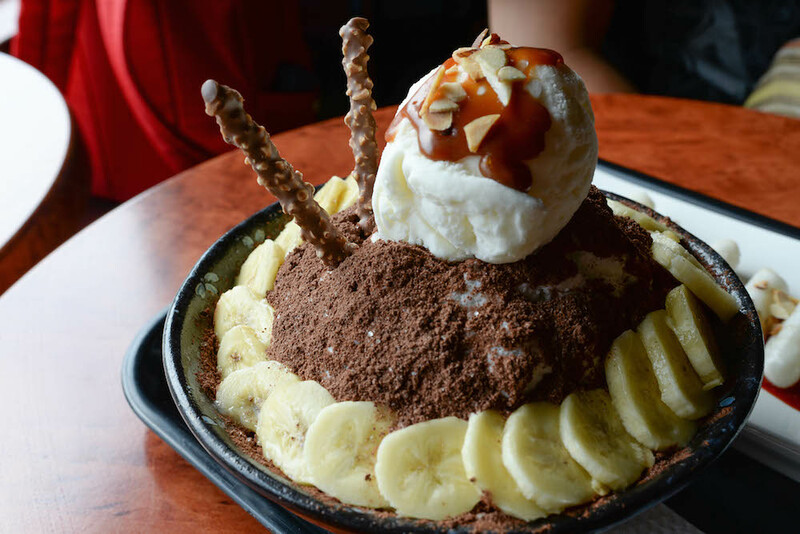 Here we have the choco-banana bingsu ($13.90), which is more westernized than usual. You would have to go the extra mile to get to savour this though, as it is located deep within the private properties at Serangoon. The price is slightly higher than average, but totally worth it. Okay, why are all the good bingsus in the East? I need about an hour to get to Snowman Desserts, located at Nex. Thankfully, this is less ulu than where Nunsongyee is located. The shaved ice here is the finest I have tasted in Singapore, in my opinion. However, this mango bingsu ($12.90), dripping in syrup and topped off with a deliciously sweet soft serve is a tad too sugary. 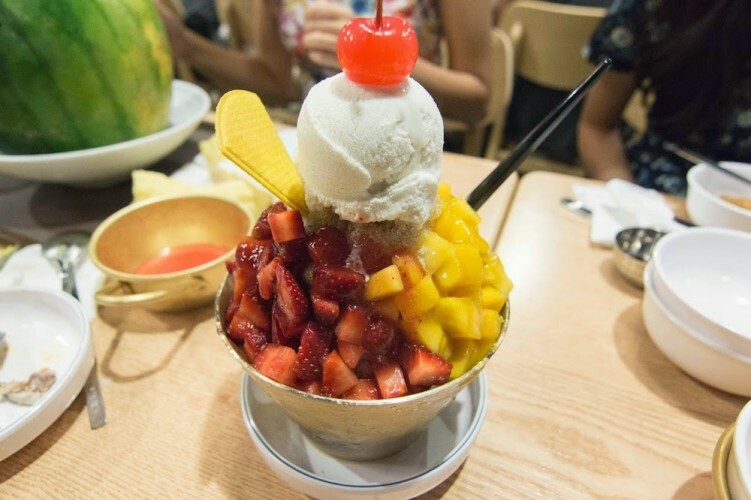 Skip the condensed milk when you have the bingsu here. 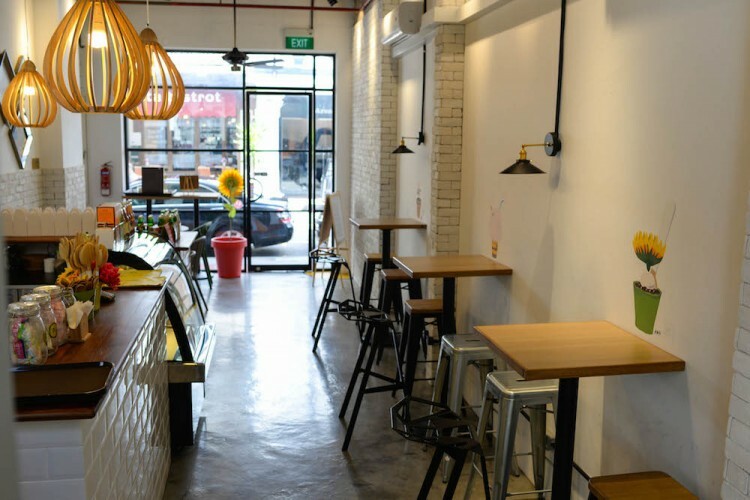 Worry not, this cafe does not only sell banana flavoured items. The cute name however, reflects in its decor and food presentation. They sell only the Red Bean Pot Bingsu, a play on the original word, patbingsu. While the ice is coarser than normal, I quite liked how it was extra milky and went well together with the red bean and almonds. Extra points to the glass roof and windows that let the sunlight stream in, creating a bright and relaxed space, perfect to chill at. 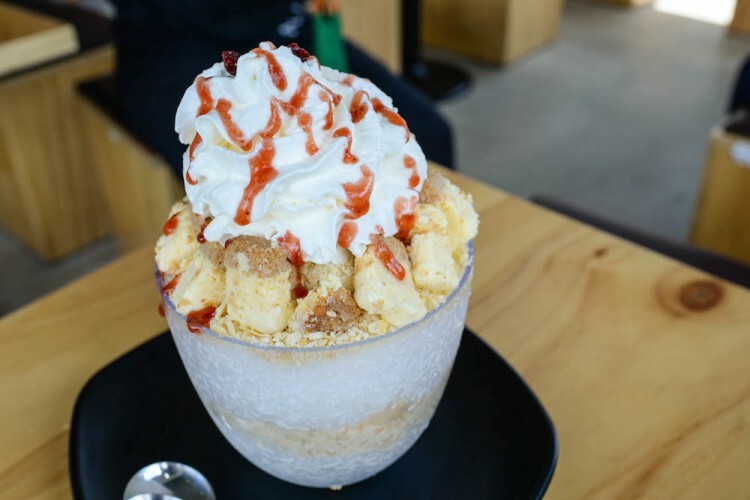 One Ice Cafe serves up decent bingsu, and the best thing about it is that it is located at JCube, closest bingsu you can find in the West side (to my knowledge). I liked the patbingsu ($6.80) which was served with crunchy cornflakes, but felt that their shaved ice could be more flavourful. 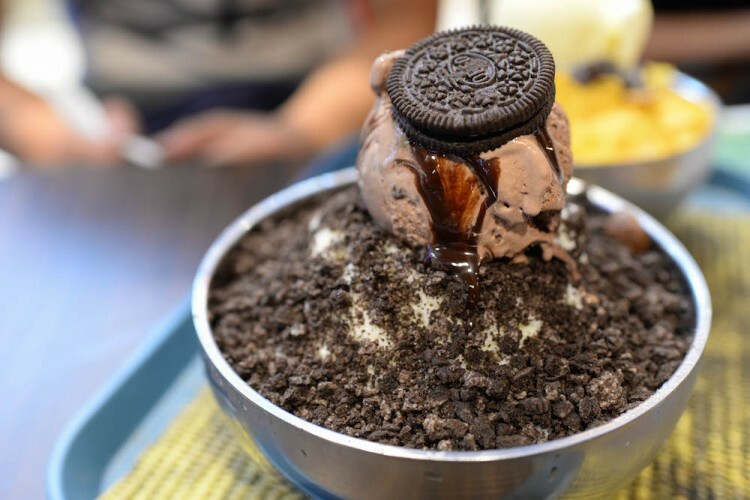 The Oreo Bingsu ($6.80) is another very affordable bingsu that you can’t really go wrong with since, you know, Oreo. 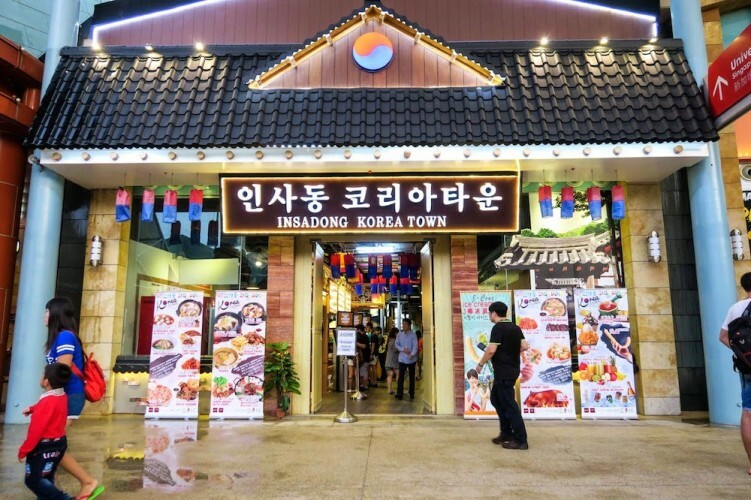 Visit Insadong Korea Town to soak in the ornaments all around in Sentora. This large Korean restaurant/foodcourt has been designed to recreate the sights of South Korea. 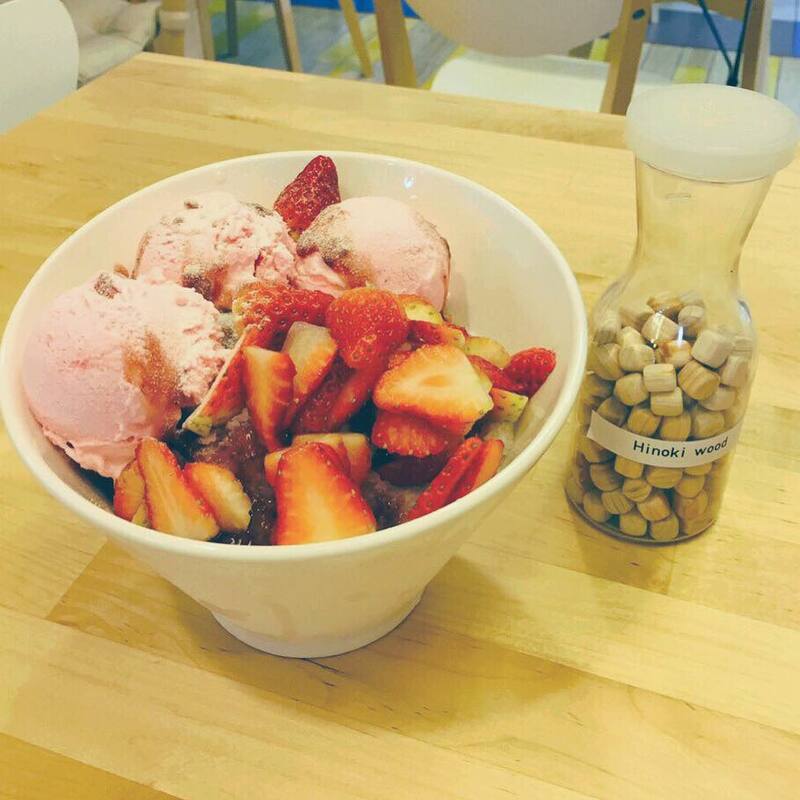 Their bingsu, heaped with fruits and ice cream is reasonably priced at just $10. 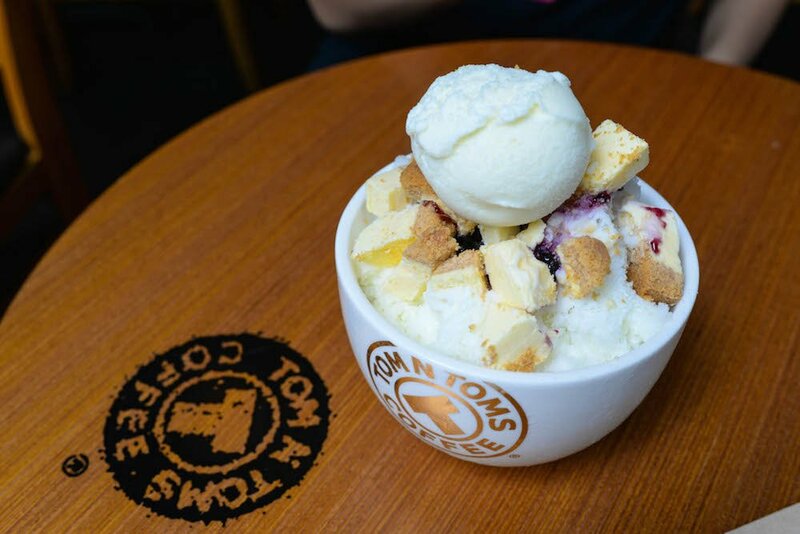 Located in the Central Business District (CBD) area, the Tom N Toms chain from Korea serves not just coffee but a number of bingsu flavours as well. We had their Yoghurt Cheesecake bingsu ($12.90), which was refreshing and sweet. Maybe it was because the ice tasted like yoghurt, but it felt very delicate and melted in my mouth very quickly. So next time you want to grab a coffee, why not a bingsu or two as well? The bingsu here go a little easier on the pockets at $8.50 – $9.50. The servings are generous though. The shaved ice comes with a scoop of ice cream, some red bean, red dates and a smattering of nuts. 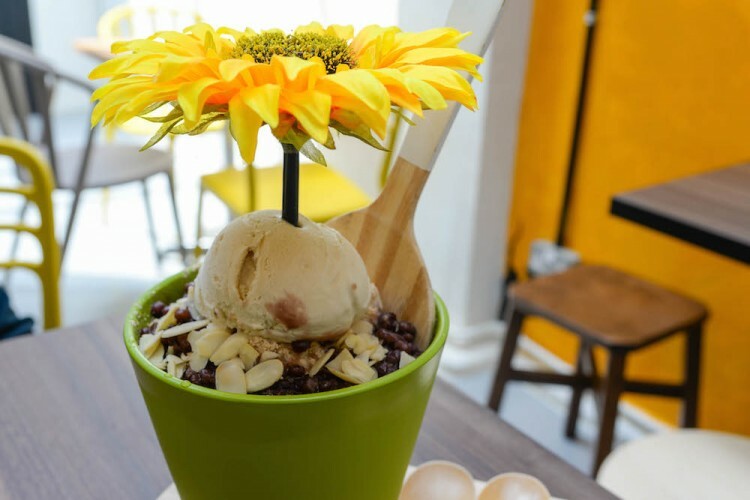 If you are tight on money, this is a decent place to satisfy your bingsu craving. This cafe will attract all ages with their indoor playroom, free wifi connection and power points. 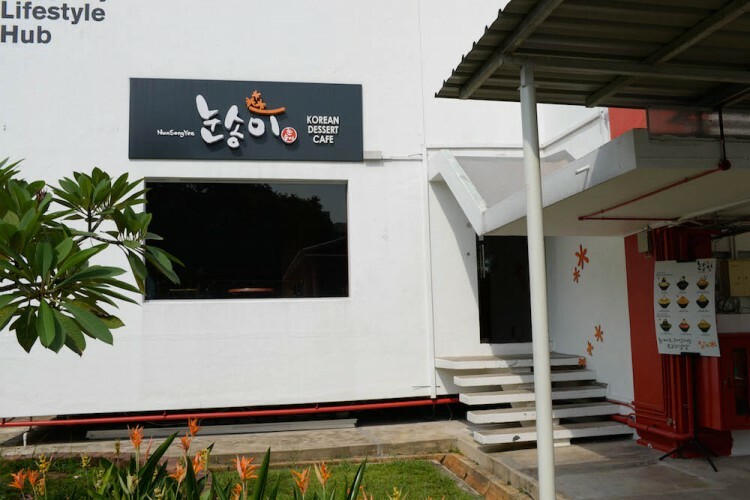 Whether you are student who wants to study after school, or a parent looking for a place for your children and yourself to chill, this is the place. 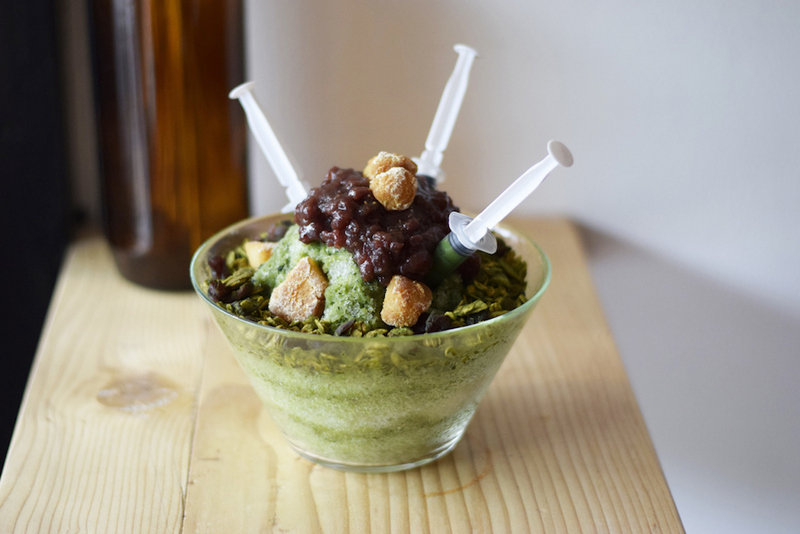 The Matcha Patbingsu ($8) also comes in a glass beaker for a creative presentation. 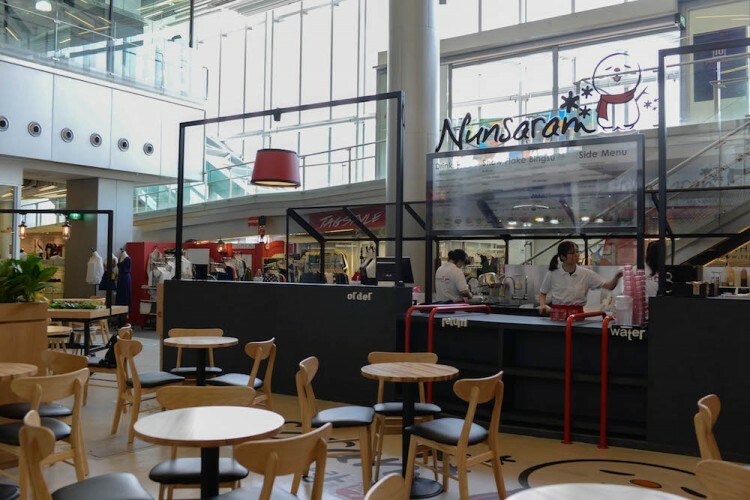 Nunsaram means “Snowman”, an apt name for an iced dessert shop. 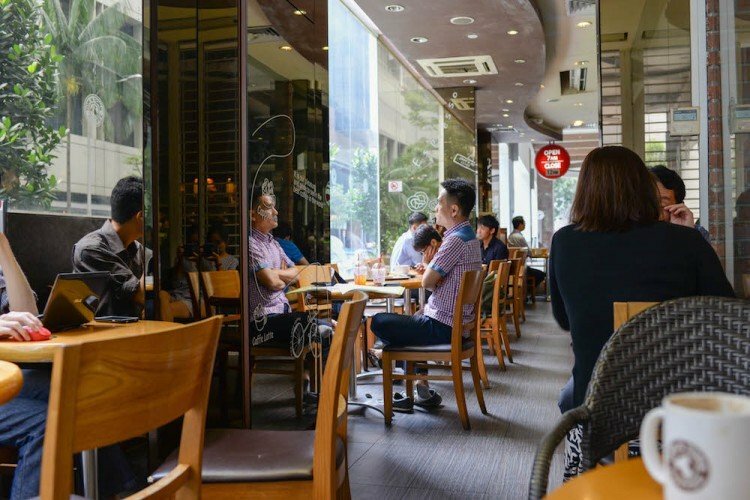 Located in Orchard Central, many would probably know it as the location of the previous Spanish Doughnuts shop, popular for its churros. Try the Sweet Potato Bingsu ($14.90), a lesser-seen flavour that piqued my interest. 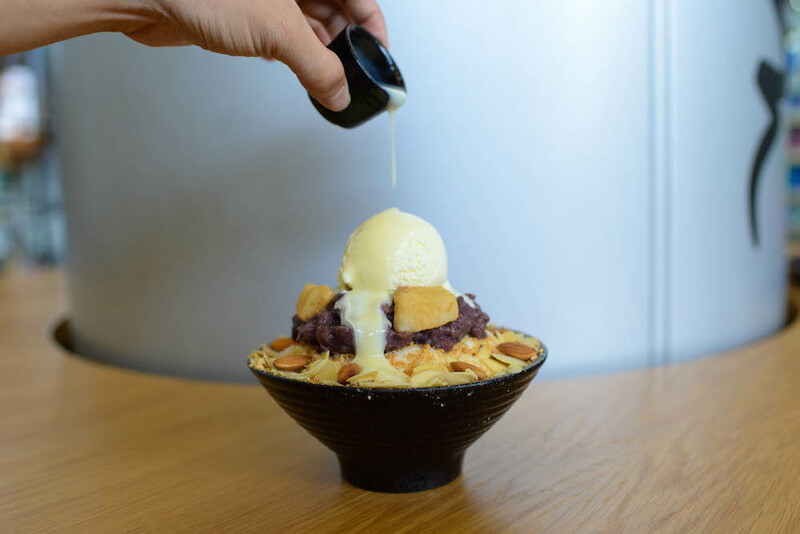 The sweet potato paste and chunks are made from a variety of the root that is naturally purple – which adds such a bright, vibrant colour to this bingsu. 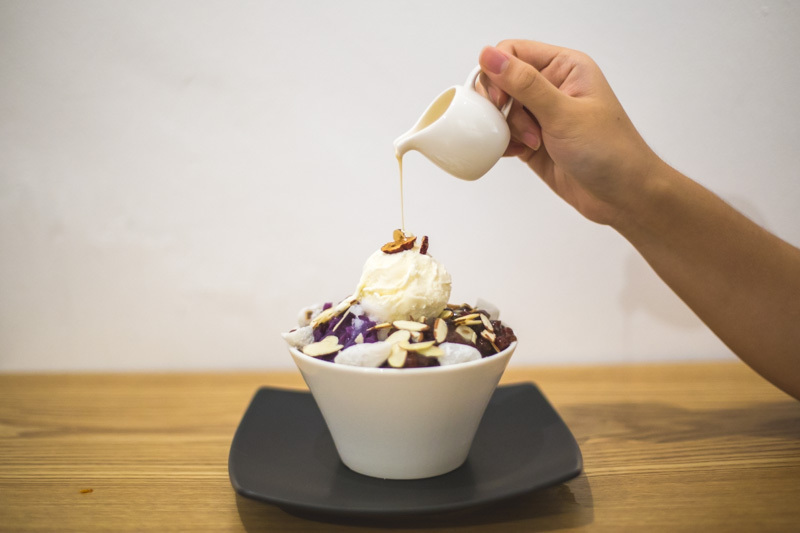 Accessible bingsu at a reasonable price and with generous ingredients; it is easy to drop by when you are out in town for the weekend. Plus points for creativity to Chick N Ken! 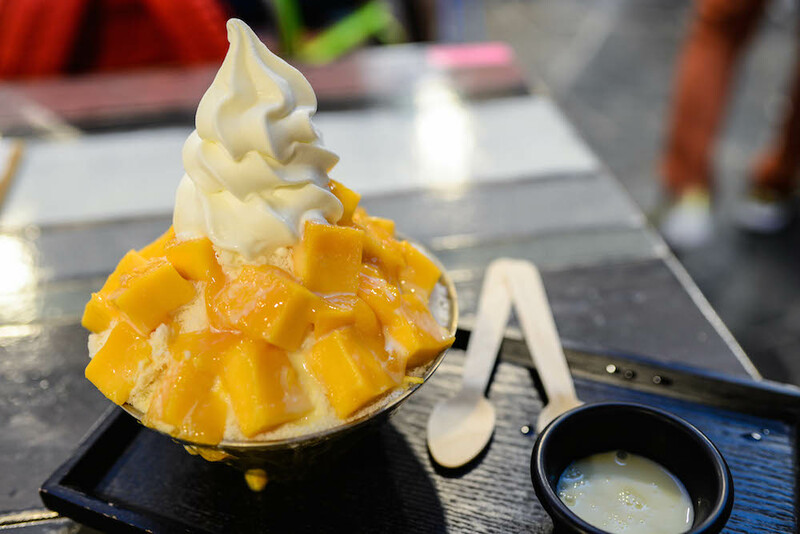 Instead of serving condensed milk in a small cup, they serve them in syringes stuck into your shaved ice bingsu order for some precise milk injections. Who says you can’t play with your food? An interesting flavour to try here is the Cha-Yen Bingsu ($12.90), inspired by Thai milk tea and also containing red rubbies. With the outlet at Guillemard Road flourishing, the folks at Bing Go Jung have opened a second outlet at Bukit Timah Plaza, where flocks of polytechnic students have started to gather. Their shaved ice is fine with a slightly milky taste, which was just nice for me. 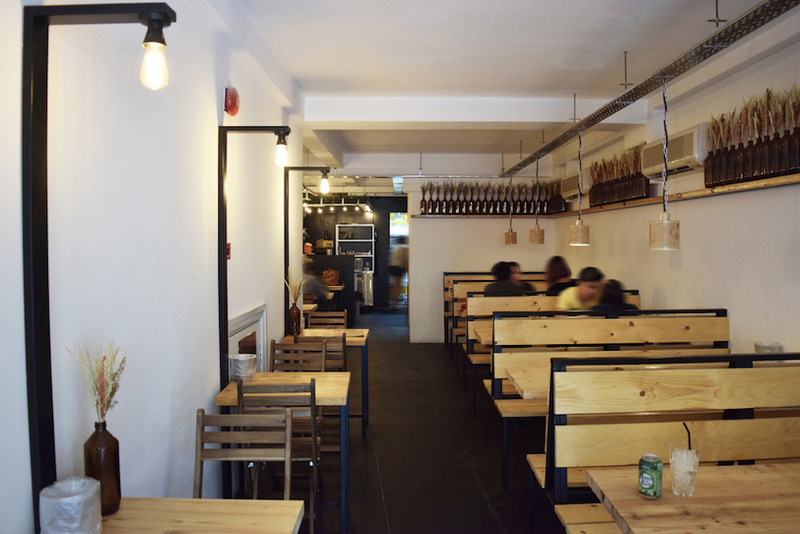 They also serve a variety of other items like drinks, waffles, pancakes and more. Chicken Up may specialise in its chicken wings, but their bingsus looks spectacular as well. 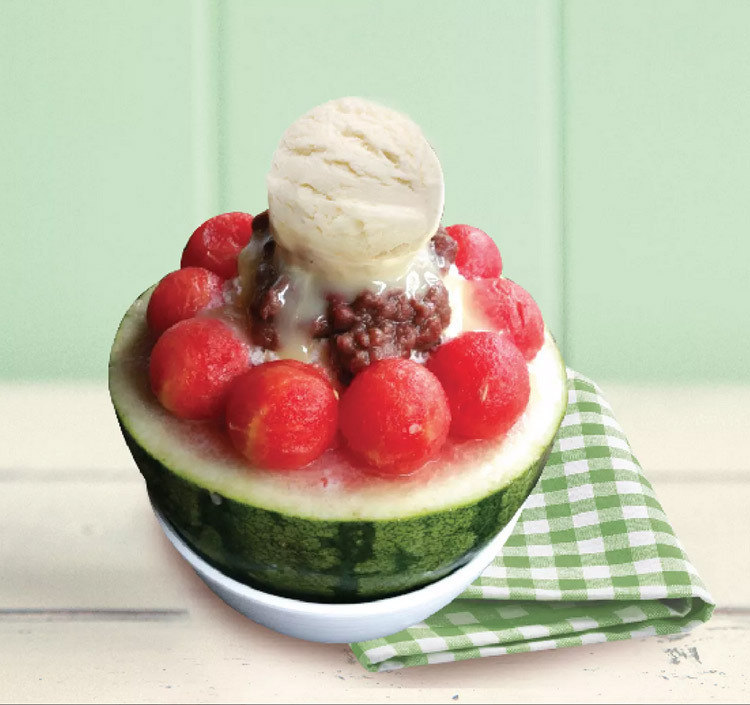 The Watermelon Bingsu ($18) is piled high with shaved ice, ice cream, red bean and fruit, served in a watermelon husk. 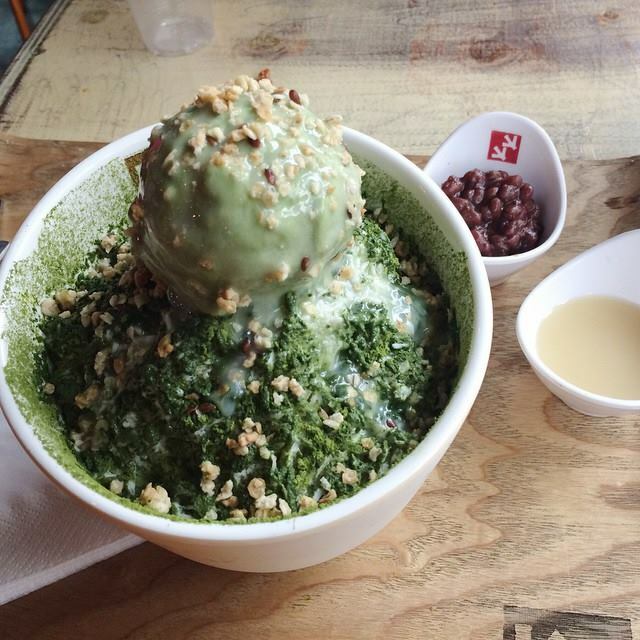 They have a melon bingsu ($20) version of this as well along with other flavours like matcha. It’s not cheap, but definitely very inta-worthy. Sounds like a good way to round up a meal of fried chicken.